Your website is your virtual storefront. Whether your company is large or small, using modern web standards, we can design and develop your website to impress. What’s your WEBSITE done for you lately? Is it fresh, getting leads, searchable? These days, having a website has never been more important. We’ll create a website for your company that’s affordable, professionally designed and relevant to your business. Whether it’s a static HTML site, e-commerce site, or a CMS (Content Managed Site), we design, program and maintain the site once it’s up and running. Whatever you need, we’ll get you plugged-in. They navigate the world of litigation finance. We navigated their brand in a whole new direction! Westfleet Advisors has built a reputation as the national authority in litigation finance. In 2018 partners Charles Agee and Gretchen Lowe conducted an extensive search for exactly the right firm to overhaul their brand image. They wanted a sophisticated look and feel that more accurately represents their brand. They chose Nashville's Powell Creative to undertake this endeavor! We went to work developing a new logo design, a brand message and descriptor tagline, designed a new website (shown here), and worked on other projects for their 5-year old entity. We're glad they chose Powell Creative. And so are they! Varia likes to use the phrase "Think Outside the Box". So do we. Varia specializes in casework and seating customized and engineered for educational, healthcare and commercial projects. Powell Creative specializes in customized website design and development - just one of the services we offer that include overall visual and message brand development. 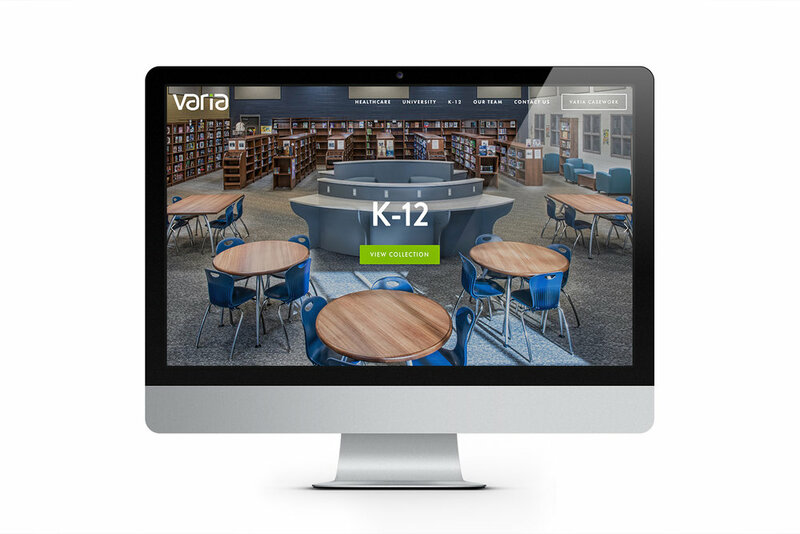 Our two firms partnered recently to design and develop a new website for Varia. The end product turned out very clean, sophisticated and beautiful - just like all of Varia's product lines! searching out their website partner! 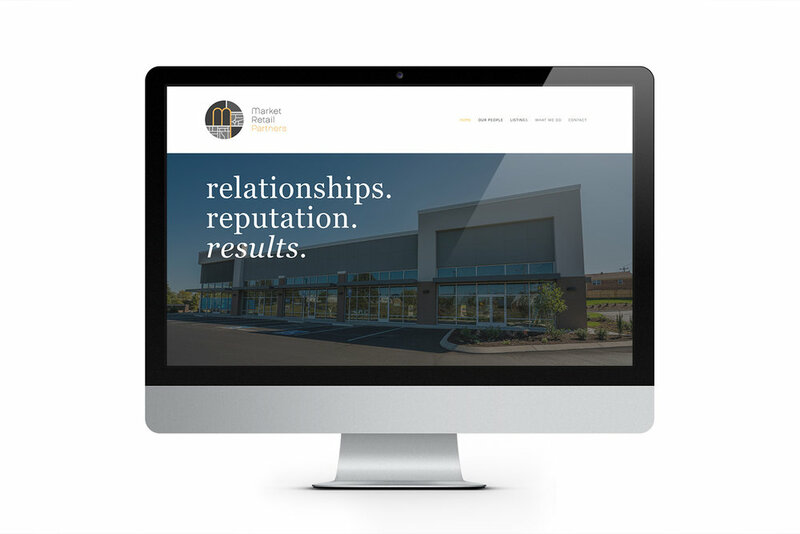 When MRP wanted a new website they turned to Nashville's Powell Creative - a firm known for good RELATIONSHIPS, a firm that had a great REPUTATION, and most importantly, a firm that delivers RESULTS. Hey, that sounds a lot like Market Retail Partners! I guess we think a lot alike! 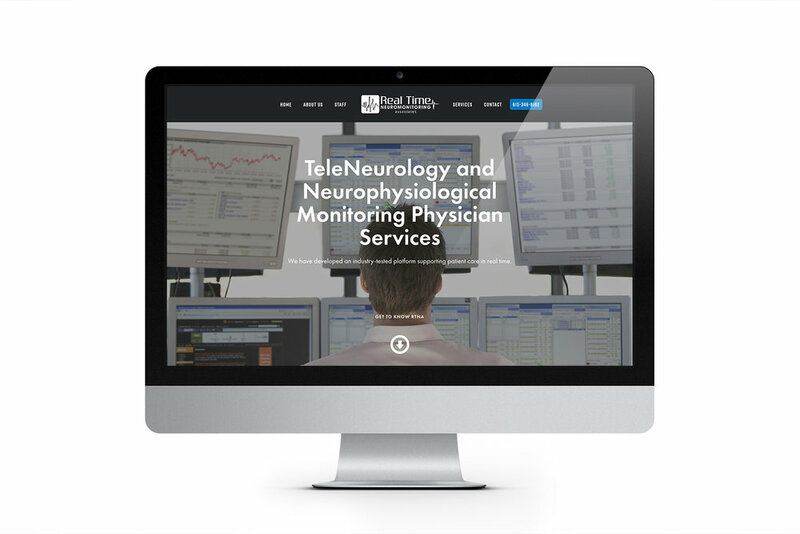 They provide neurologist oversight for real-time neuromonitoring. We provided a website that aptly communicates their message. Meet RTNA, Real Time Neuromonitoring Associates. RTNA is the leader in innovative TeleNeurology patient care. When it came to developing their new website we likewise took great care. Now RTNA has an innovative, well-designed site that properly positions their company in the vast field of health care. Their goal is to always bring the right client to the right property. Our goal is to design the right site for great clients. With Snipes Properties, we think we did just that! We developed the Snipes Properties website and branding to be clean and simple, yet sophisticated. Their vision and focus continues to build a reputation second-to-none ... just like the vision and focus here at Powell Creative! A top shelf name in Nashville commercial real estate now has a top shelf website to market its services! We're very fortunate to have been asked to design and develop the new C.B. Ragland Company website. On this site C.B. Ragland proudly displays their array of commercial real estate services and portfolio offerings. It's a site Powell Creative is just as proud to display in our portfolio of websites! It's easy to throw around the term 'Top Shelf' when it comes to great companies like C.B. Ragland Company, real easy! We formed Golf Creative Group out of our love for golf and for branding. Now we have the best of both worlds and a website that lets the world know about it. Golf Creative Group is a division of Powell Creative, LLC. We thoroughly enjoy and understand branding for all things golf. We're fanatics for the details in design. And we're fanatical in our love for golf. It's a great combination we think we aced in our Golf Creative Group website! The "IT" City, now with our branding has the "IT"
place - the Pilcher Bldg.! In the heart of downtown Nashville on Second Avenue, the historic 5-story Pilcher Bldg. is sure to become Nashville's hottest retail and office concept! We developed the Pilcher Bldg. 's website as a part of their overall brand roll out. It's a HOT venue, now with a great venue to showcase this exciting development! "The Power of Positive Change" just went digital. Can you feel it? Big Transformations consulted then engaged Powell Creative to develop their new visual and message branding, including the foundation of their brand - a website. Our team at Powell Creative 'transformed' a blank canvas into a real living brand that this client is proud to take to the marketplace. Now this client's potential has been truly unlocked. . .we're 'positive' of that! One of Creed Investments 'best investments' was having Powell Creative design their website! Just like Creed Investments, 'Our team has the ability to create something incredible where nothing was before!' 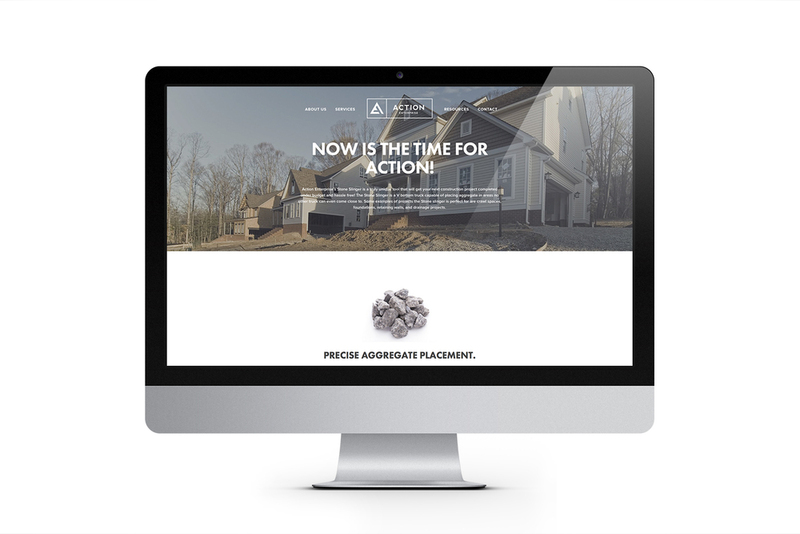 CEO David Creed asked the Powell team to create a website that was sleek, sophisticated and enticing. Our guys fueled up on a heap of creativity then developed a website to inspire the most innovative and creative companies in the world - what a great investment for the Creed brand! Powell Creative was quite flattered to be chosen to design and develop the new Dr. J.J. Wendel Plastic Surgery website! Aesthetically speaking we think the new Dr. J.J. Wendel Plastic Surgery website we designed is absolutely beautiful. We shaped and formed the new site to communicate exactly the right tone and message for this outstanding plastic surgeon's practice. Dr. Wendel is considered the very best in plastic surgery and he wanted only the very best to design and develop his website - that's why he chose Powell Creative! Sit back, relax and smell the coffee site! Saboroso Coffee is a premium Brazilian coffee company determined to support the ranchers in Brazil and help save the forests there. This website is only a part of the overall branding we are developing to help them further their mission of delivering delicious coffee with a purpose to the masses. They were just a stone's throw away, but we gave them a website that was out of this world. How do you make 'rocks' interesting? We gave it our best shot. Take a look for yourself! Action Enterprise provides precise stone placement. We provided exactly the right website! They deliver meals. We delivered a state-of-the-art website for Mid-Cumberland's Meals-on-Wheels. Mid-Cumberland Meals-on-Wheels set down at the table with Powell Creative to have us bake up a new website outlining their services. Our recipe included delivery of a scrumptious new site, with a dash added of a few bells and whistles, and a little spice here and there. All-in-all we think it shows good taste! YUM! Brick by brick, stone by stone we developed the Kelly Construction website to be as solid as their masonry work! We got a real "Charge" out of working on this site! 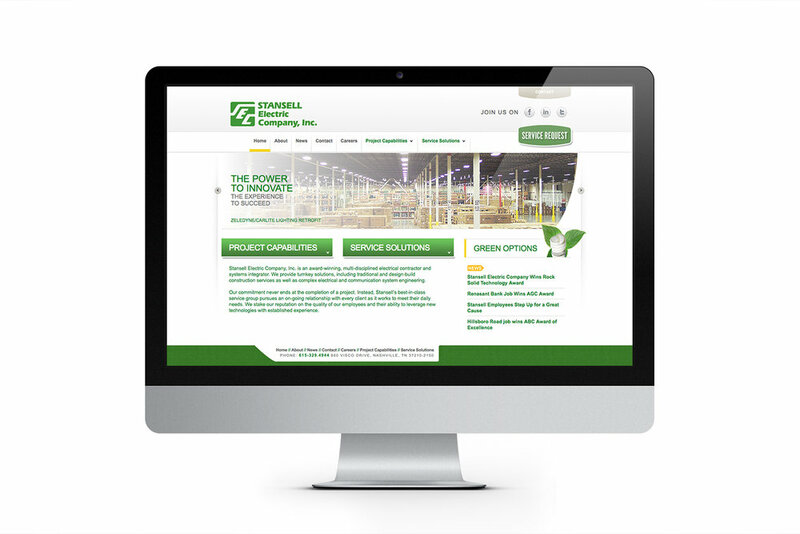 Stansell Electric Company, a major electrical contractor, charged Powell Creative with developing a new website for their company. When we first got turned on to Stansell, we got plugged-in to their core business, then created a blueprint for their new site that would look awesome, and create the upscale brand image this client was after. The result: A "POWERful" site that we love and so does the client! It was great designing a new website (to go with all new branding) for this design firm. When developing the new website for NOI / Nashville Office Interiors, we never felt cornered in, we got to incorporate plenty of white space, and made this site feel functional. Sit back, kick your legs on your desk and take a looksie. This site was just what Nashville's top commercial office furniture company called for.